We offer promotion through Facebook and this gives you and your business a chance to reach a wider zone of customers which you may otherwise miss. 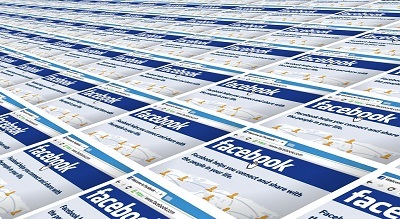 With proper approach through Facebook ad management, we help in offering assistance for a minor investment. Your product or business will reach to your focused customers just with the click of a mouse. Looking to create quality advertisements in social sites like Facebook, etc.? Look no further, as we are here to provide you with best in class services where we create an advertisement and spread it across Facebook, Instagram and other social media sites to develop the spread. Our team knows the importance of understanding your business via which an excellent quality Facebook advertising strategy can be created. Along with this, it is important for the team to identify your promotional objectives which further helps in making nice advertising campaigns which help you grow in the right way. Once all the understandings, objectives and study are all on the same page, our team creates a customized plan and the ad campaign is incessantly observed and necessary adjustments are made if required. Our team understands your goals and target audience and helps you in making ads that offer you with the capability to reach out to newer audiences. Facebook has more than a billion people which give the right exposure if used in a correct way, and setting up the proper target ads can give a good boost to your business. We can supervise every facet of the format and the patron can earn the aids that come with this social media advertising. Hire us and we will take your brand to the next level.